A home floor can be comfortable with a luxurious warm carpet. We all want our home or office to get adorned by a good carpet. But, daily walking, sitting and rolling takes a toll on the strands of carpet. If you wish to have your priceless carpet looking new in a longer run, hire a company that specializes in Carpet Cleaning in Vadodara. ECO Facilities Management carpet cleaning Gujarat offers services to clean the carpet by doing deep vacuum to remove dirt and grime. Also, we have particular formulated chemicals that will remove the stains from the carpet without destroying the texture of color. The cleaning process starts with deep vacuuming the carpet. With vacuuming, the dust, grime, mites, and allergens get removed from the carpet. After that, the carpet is brushed so that any hair gets withdrawn from the carpet. Later it gets washed with special soap that removes stains and spots from the carpet. Also, the washing will sanitize the surface of the carpet from the bacteria. One lathered it is thoroughly cleaned using specialized equipment’s so that the soap residue gets removed. The carpet is then dried using special blowers that enhance the appearance of the carpet especially on the areas where the texture is destroyed. If the carpets are maintained properly, the lifeline of this accessory gets extended for years. 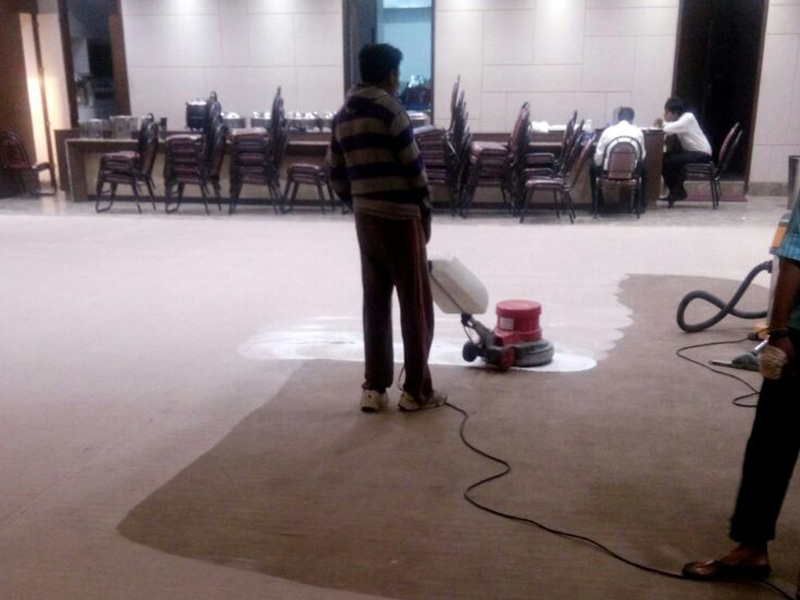 This is why one must hire Carpet Cleaning in Vadodara to do this job. Remember cleaning the carpet with regular vacuum might look appealing, but with the lack of knowledge, you can damage the carpet material. ECO Facilities Management carpet cleaning Gujarat will keep the carpets in good shape by regular maintenance. Just call our team and we will be there to renew your old looking carpet.